The ranch where a UFO was alleged to have crashed outside of Roswell, New Mexico has come under new ownership. Image credit: Goodfreephotos. 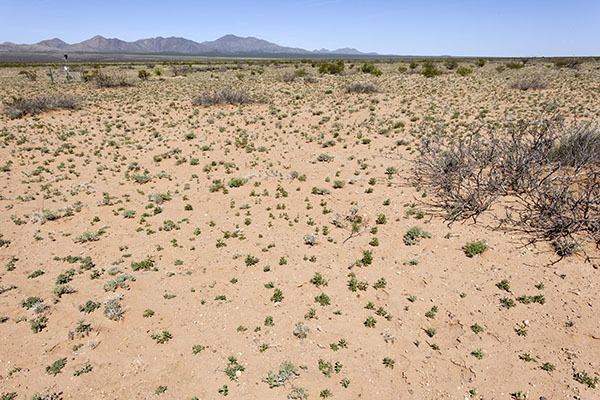 Image representational of New Mexico desert, not actual crash site. The supposed crash occurred in 1947 after debris was discovered by the rancher at the time, Mac Brazel. This discovery quickly came to the attention of the US Air Force, and initial newspaper headlines reported that Mac had discovered a crashed 'flying disc'. However, this story was swiftly changed, and by the following day, the disc had become nothing more than a crashed weather balloon. However, this did not stop UFO cover-up conspiracy theories emerging, which continue even to this day. As a result, Roswell has become a tourist attraction, with the former owners allowing limited tours of the alleged crash site, which is actually around 75 miles northwest of the town of Roswell. However the new owner, Dinwiddie Cattle Co., seem to be somewhat oblivious to the reputation of the area, having purchased the ranch as a part of a larger land deal. Meanwhile, the tourism continues, with the town of Roswell's International UFO Museum now attracting more than 200,000 visitors worldwide each year.